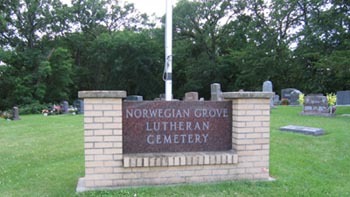 Norwegian Grove Lutheran Cemetery is a private cemetery owned by nearby Norwegian Grove Lutheran Church. The church was founded in 1881 to serve the earliest Norwegian settlers in Sibley County. The first church building was situated on the cemetery grounds. 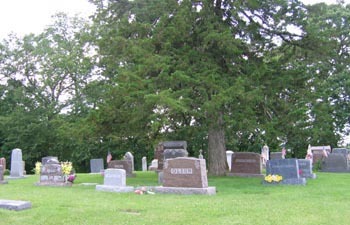 The cemetery is located approximately 8 miles south of Gaylord, Minnesota on State Highway 22. The land for the first church and the cemetery was donated by one of the founders of the congregation, Ole Overson (1815-1897). 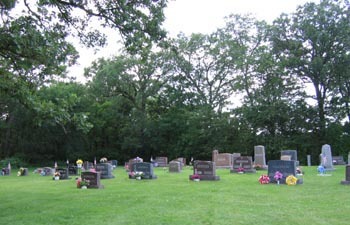 Most of those interred in the cemetery were members of the congregation and can trace some part of their ancestry to Norway.